March is Women’s History Month — a time to focus not just on the past, but on the challenges women continue to face. Nearly 60 percent of the people receiving Social Security benefits are women, and in the 21st century, more women work, pay Social Security taxes, and earn credit toward monthly retirement income than at any other time in our nation’s history. Knowing this, you can be the author of your own rich and independent history, with a little preparation. Social Security has served a vital role in the lives of women for over 80 years. With longer life expectancies than men, women tend to live more years in retirement and have a greater chance of exhausting other sources of income. With the national average life expectancy for women in the United States rising, many women will have decades to enjoy retirement. According to the U.S. Census Bureau, a female born today can expect to live more than 80 years. As a result, experts generally agree that if women want to ensure that their retirement years are comfortable, they need to plan early and wisely. You can start with a visit to Social Security’s Retirement Estimator. It gives you a personalized estimate of your retirement benefits. Plug in different retirement ages and projected earnings to get an idea of how such things might change your future benefit amounts. You can use this valuable tool at www.socialsecurity.gov/estimator. You should also visit Social Security’s financial planning website at www.socialsecurity.gov/planners. It provides detailed information about how marriage, widowhood, divorce, self-employment, government service, and other life or career events can affect your Social Security. Your benefits are based on your earnings, so you should create your personal my Social Security account to verify that your earnings were reported correctly. Your account also can provide estimates of your future retirement, disability, and survivors benefits. 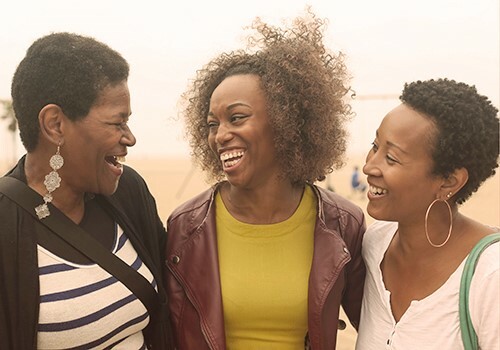 If you want more information about how Social Security supports women through life’s journey, Social Security has a booklet that you may find useful. It’s called Social Security: What Every Woman Should Know. You can find it online at www.socialsecurity.gov/pubs/10127.html. This entry was posted in General and tagged financial planning, projected earnings, retirement age, Social Security benefits, What every woman should know, Women's History Month by Jim Borland, Acting Deputy Commissioner for Communications. Bookmark the permalink. Thank you for your comment to the needs of all females and rights,peace and love,Doug. A wife gets 1/2 or so, a widow can get up to !00%. 100% ONLY if the husband gets more SS $$ than the wife; otherwise, she gets NOTHING!! this happened to me 2.5 yrs. ago! Survivors Planner: How Much Would Your Survivors Receive? That is for sure. We have less than quality lives on just half! I live close to poverty with just SS to care for me and insurance isn’t cheap for the health issues we face in later years. I don’t see how anyone with any common sense could possibly think that a woman could easily live on half of her husband’s benefit! In fact, our living expenses, utilities, food, medical, etc. steadily increase year after year and our wonderful representatives and senators think that we don’t even need a COLA! I’d like to see any one of them live on a widow’s share for one year! They are so far removed from reality that it’s pitiful! Widow’s don’t get 1/2 of their deceased spouse’s amount. They get more. Read up on the law before you begin your sermon. The truth is elections have consequences. If you believe there is too much government, then it is unclear why you should be surprised that you get less and should be exempt. There is virtually no waste in public service agencies anymore, so if you buy that belief because a politician is saying it, you are a victim of your own lack of facts. With SSA one of many agencies having been reduced in size, with a hiring freeze and expected staffing cuts you are also losing access to a shrinking agency. Rules are based on laws and laws are created by the people you vote for. If you don’t like something, it is your RESPONSIBILITY to speak up to your elected officials. Agencies have no power to rewrite the law. Diane, do your children receive Dependents Benefits ? Widows receive their husbands full pension, not half. Depends on state, company, etc. Civil Service like police in chicago the widow only receive one-third of pension. How can they live on that?? This is a SS forum, take your question elsewhere. Visit our Survivors Planner: How Much Would Your Benefit Be? for information on survivor’s benefits. My social security retirement amount was drastically reduced due to ‘windfall profit’ from retirement with a county entity. I was told by the SS Associate that my widowed wife would receive 1/2 of my SS retirement amount, from which would be deducted her retirement amount, and only that exceeded the retirement amount from my county retirement stipend. Is this in fact true, or have other factors changed this? Call 800-772-1213 and ask them. Individual situations can’t be resolved here. Due to me retiring from a Junior College and drawing a State Pension, I cannot draw any of my deceased husband’s social security benefits because of the Windfall Act. We were married 55 years and he paid into social security most of those years but I was told the month after he died, that I was not eligible to draw a since penny of his social security benefits because of me receiving a pension plan that did not pay into social security. This is unjust because my husband paid out of his paycheck each week thinking he was providing added security if he should die before me. This Act does not affect our government officials. They can draw as many pensions from all sorts State, Local, or Federal government pension plans as long as they worked a little time. I have spent lots of time writing to my Senators, Representatives, the Senate Finance Committee, etc in hope of many these people aware of how this Act has caused a great hardship of so many. The only way this Act is going to be repealed is for people who are affected by it – stand up and be heard. Hi Dante, a pension based on work that is not covered by Social Security (for example, Federal civil service and some State or local government agencies) may cause the amount of your Social Security benefit to be reduced. Your benefits can be reduced based on one of two provisions. Your own Social Security benefit can be reduced based on the Windfall Elimination Provision. Your spouse’s, divorced spouse’s, surviving divorced spouse’s or widow’s benefits under Social Security may be affected by the Government Pension Offset. For more information, go to our “Frequently Asked Questions” web page. Thanks! We set aside months for minority ethnic groups, women, various illnesses, earthquakes, education, safety and everything else under the sun. Wouldn’t it be nice if we had a month in which the government wasn’t trying to make us aware of something? I’m all for “leave me alone” month. You have free will I’m assuming? No one is forcing you to pay attention or whine about it on the internet. See something that doesn’t interest you? Just scroll on by…it works every time, I promise. I worked for nearly 50 years some of the time for the government where I paid into a retirement plan and at the same time worked part time in the private sector paying into the social security system. My husband was a university Professor and paid into social security. He died before I retired and I went on working. Upon retirement I found out that my social security payment would be reduced because I paid into the government plan and that I would not be eligible to receive any of my husbands’ benefit because of same. This is called the Government Pension Offset or GPO and the Windfall Elimination Plan. To have worked as a nurse and a social worker and contributed to Social Security this is wrong. Hi Irene. A pension based on work that is not covered by Social Security (for example, Federal civil service and some State or local government agencies, such as police officers and some teachers) may cause the amount of your Social Security benefit to be reduced. Your own Social Security benefit can be reduced based on the Windfall Elimination Provision. Your widow’s benefits may be affected by the Government Pension Offset. I just wrote about how this Windfall Act has affected me and so many others. It has to be repealed and the only way this is going to happen is for people to speak out to their Senators, Representatives, etc. I have spent lots of time writing, calling, texting people to take action. I understood it was going before the house soon to be repealed but I will have to see it to believe it. I was married 55 years before my husband died and the month after, I was told I was not eligible to draw any of his social security benefits because I had retired from a Junior College. Who is getting all that money that my husband paid into–it sure isn’t the wife he thought he was helping and providing for if something should happen to him first. You are only one of millions, especially women, feeling this hardship. I wish enough people would step up and take action to get ACT off the books. hi jim what do you think if some one request a appeal determination from is ssi matter and ssa stop is check I think if some one appeal a case is check not suppose to stop until the final decision.from that matter.telling me about the appeal case. lesly francois , you have 10 days from the date you receive the letter informing you of the Cessation of Benefits to request to continue to receive monthly benefits during appeal. With SSI Only, how long you can continue to receive monthly SSI Benefits before going before an ALJ depends on the reason for the cessation of SSI. If the cessation is upheld at the ALJ level, you ay have to pay the monthly benefits back. With SSDI, you can receive monthly benefits until the ALJ makes a decision. I always ask and no one ever has an answer. Back when Lyndon Johnson was president he tapped into the social security fund account to pay other expenses. As I understand it, this practice still continues today. Why are the social security funds used for other government purposes? Hi, Lorraine. Thanks for your question. Social Security is a pay-as-you-go system. Social Security taxes collected from today’s workers pay the benefits of today’s retirees. Any funds in excess of what is needed to pay today’s benefits are invested in special issue, U.S. Government, interest-bearing securities. This investment – the purchase of U.S. Government securities – is what constitutes the “borrowing” that people are sometimes concerned about. Any funds that have been “borrowed” from the Social Security Trust Funds have always been paid back in full, plus interest. Please check out our Trust Fund Frequently Asked Questions page for more information. We hope this helps. type with its multiple button feature on the front. Is always a best selling item on Etsy.